Held as part of the project Mainstreaming Climate Resilience into Development Planning, this one-day intensive reviewed the development of climate risk screening tools and identified indicators to monitor the effectiveness of adaptation plans that will be put in place as part of the project. 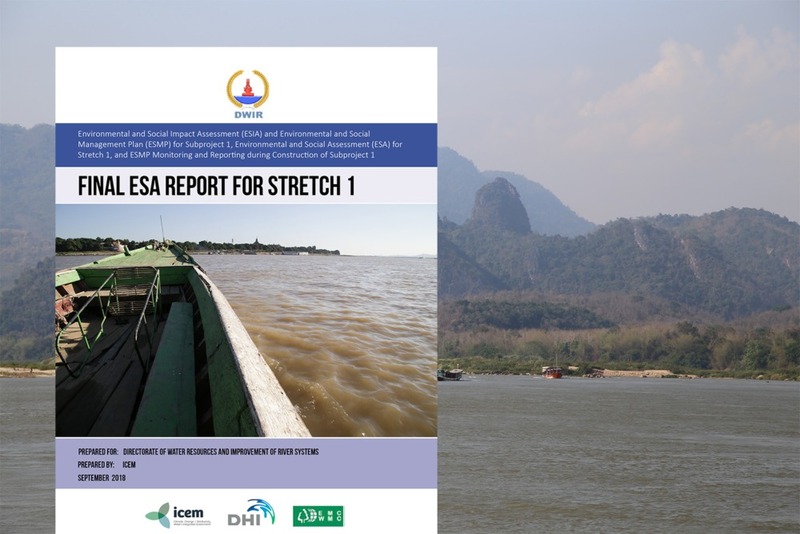 The project team has assessed the capacity needs of key ministries and has identified areas in which mainstreaming of resilience could be increased. The project team also engaged in capacity building and training activities with key partner ministries in Battambang in November. 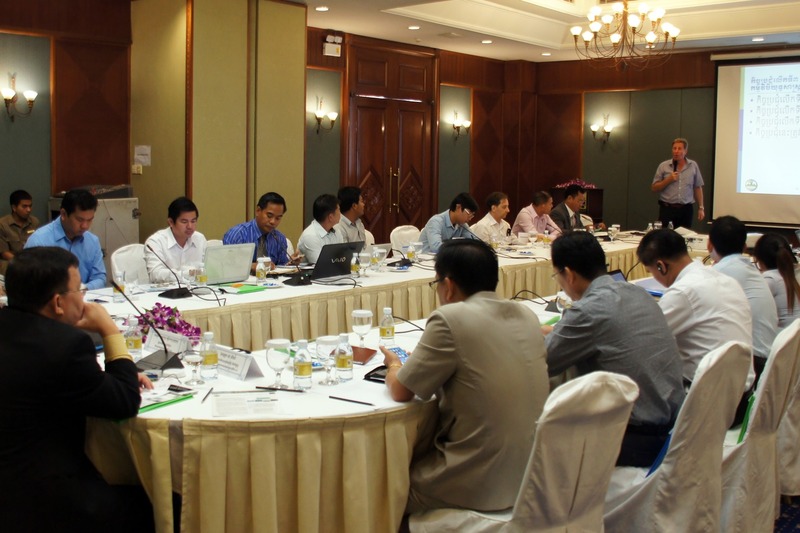 Over the next six years, project teams will conduct vulnerability assessments of infrastructure and natural systems in pilot provinces in Cambodia. At present, teams are identifying gaps in the data required to make clear assessments and finding solutions to these gaps to ensure that adaptation plans are robust and resilient. 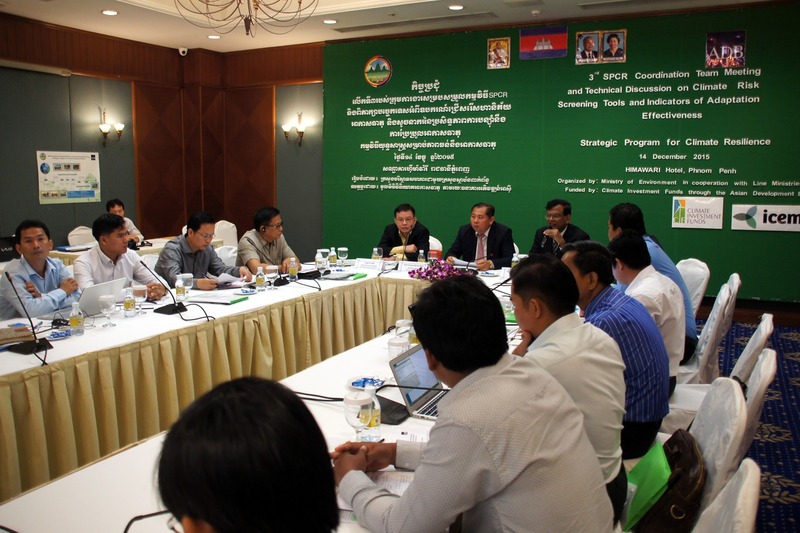 The meeting, as well as the SPCR itself, are part of the overarching Pilot Program for Climate Resilience. 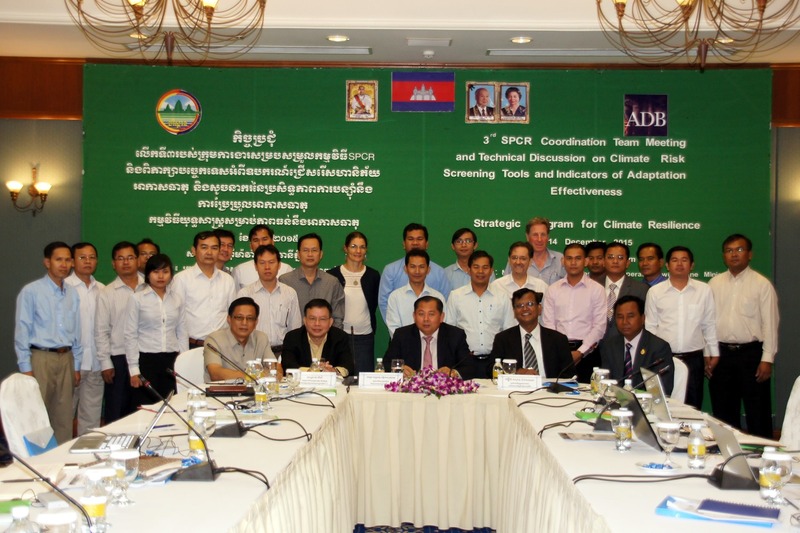 ICEM has been brought on to coordinate the activities of the SPCR, offer technical support, and build capacity amongst Cambodian ministries and agencies in their efforts to mainstream climate adaptation into their development planning.